itrust develops licensed and open source tools designed to improve your information security. itrust’s participation in numerous national, European and international projects has enabled it to develop tools, licensed software and online services to improve or evaluate information systems in domains like risk modelling, evaluation and treatment, GNSS application security, Critical Infrastructures, website, software and material vulnerability identification. itrust wants to offer both licensed and open source tools to improve the clients’ security level and enable them to keep track of their security in order to support a continuous improvement by the evaluation of different elements of their security infrastructure. All products are developed, tested and continuously improved by the itrust staff. A follow up and development according to its R&D improvements. A multi-antivirus scanner solution to perform malware infection analysis of suspicious files. It increases the probability to detect a malware by the use of multiple antivirus solutions. TRICK Service is a full-featured risk management tool, assisting you in assessing risk, planning actions, and running your information security management system (ISMS). It accompanies you throughout the whole risk management process; starting with the definition of the risk context, covering risk estimation and treatment, and communicating the results. 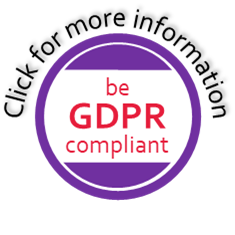 TRICK Service prepares you to be certified for ISO 27001, to comply with the requirements of the GDPR, or to respond to CSSF circular 12/544. It covers a wide variety of features such as quantitative/qualitative analysis of risk scenarios, estimation of Return on Security Investment (ROSI), embedding of custom or pre-defined catalogues for rated security controls (27002, GDPR, 22301, IoT, …), multi-user support and access control, import/export, and versioning. Malwasm, a reverse engineering tool, developed under the itrust initiated project Malware.lu. The purpose of malwasm is to help reverse engineers analyse malicious software. The tool combines both static and dynamic analysis. Malwasm executes a malware via sandbox (virtual machine), logs the entire activity (opcode, registry value, etc. ), and then uses a web browser to display the information. A vulnerability assessment tool for personal computers and servers running the Windows operating system. After installation of a light software client on machines spread over the monitored network, Software Checker informs the user of the installed software, key elements of the configuration, potential vulnerability of the software according to vulnerability databases such as OSVDB and the latest version of trusted software. Using standardised protocols, it could be integrated into a global detection system assessing the level of risk and detecting installed malware. The current version of Software checker verifies whether the Windows operating system contains software with security vulnerabilities and informs the user of new software updates. Future developments will manage this information centrally, collecting information from other operating systems and using it for predicting potential attacks and planning upgrades. A Linux toolbox for Information System vulnerability testing. This distribution integrates open source applications with a home-made environment (script, configuration, shell code …). The purpose of this distribution is to have an image of a fully operational system when we have to realise a penetration test.